From April 12th till 17th I'll show you my work with 99 other participants under the name Masterly The Dutch in Milano during Salone del Mobile at Palazzo Francesco Turati. At the Dutch Pavillion of Salone del Mobile we present with a great selection of designers, photographers, craftsmen and design studios our newest work and products. Come and join us! For more information keep an eye on Masterly.nu. 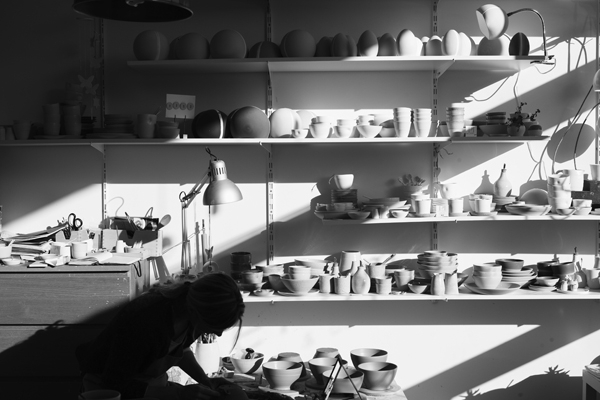 Bill, Charlotte Kristensen and Annemieke (Annemieke Boots Ceramics) have a little Ceramics Studio in Amsterdam. A quick view during a normal day: about how they work and what they make!